Cindy Smith joined the Caring and Sharing Exchange as Executive Director in 2012, bringing over 17 years of experience in the non-profit sector. She came to the Exchange from CARE Canada, where she worked with a portfolio of Major Donors and managed the Legacy Giving Program. 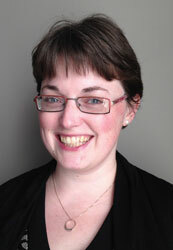 Prior to that she was with Big Brothers Big Sisters Ottawa as the Senior Director, Resource Development. 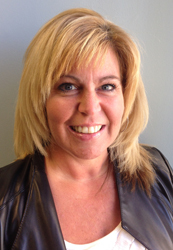 Cindy began her career in the non-profit sector at United Way Ottawa, leaving after almost ten years of various roles including Direct Marketing, Leadership Giving and Major Gifts. A graduate of Willis Business College (Business Admin) and Algonquin College (Non-profit Management), Cindy was born and raised in Ottawa and feels very fortunate that she is able to help those in need in the community. Heather joined the Caring and Sharing Exchange team in 2013. She was born and raised in Ottawa and is passionate about her community. Heather has over 15 years of diverse experience in the non-profit sector, the federal government, and the academic sector having taught Fundraising Management at Algonquin College. Heather holds a degree in Law and Political Science from Carleton University, and is married with two delightful children. Rebecca Nagrodski joined the Caring and Sharing Exchange in 2016. She was raised in the Ottawa Valley and feels fortunate to partner her educational knowledge with her deep love for community. 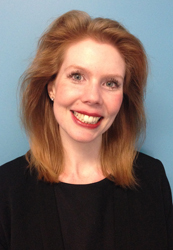 Rebecca has over 10 years of diverse experience in social work and the non-profit sector. She holds a degree in English and French from Carleton University. As the most recent addition to our team, Monique joined the Caring and Sharing Exchange in 2017. With a diverse background in activism, social work, and digital marketing, she is excited to have found a place where her experiences can come together. She has traveled extensively and is conscious of how our lives can impact our fellow humans across the globe, and is happy to be returning to her roots and sharing her passion for community in the city where she grew up.